ROMAIN JEROME STEAMPUNK WATCH NEW FOR 2011! 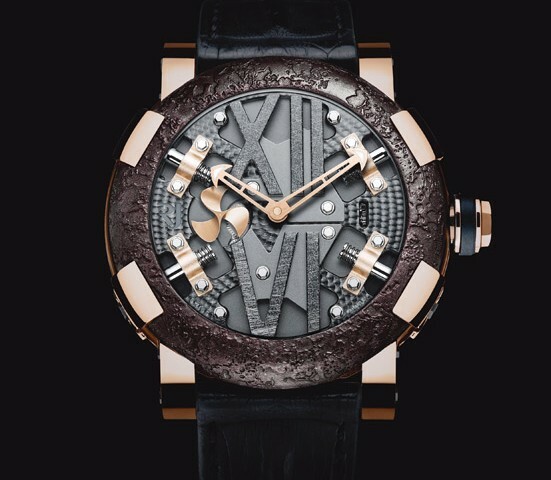 ROMAIN JEROME PRESENTED THE STEAMPUNK,ITS LATEST ADDITION TO THEIR “TITANIC-DNA” COLLECTION IN BASEL 2011. THE BEZEL CONTAINS AUTHENTIC METAL FROM THE WORLDS MOST FAMOUS SHIP…THE TITANIC! AVAILABLE IN RED GOLD OR IN STAINLESS,THE WATCH IS A 50MM CASE AND COMES WITH AN AUTOMATIC MOVEMENT. 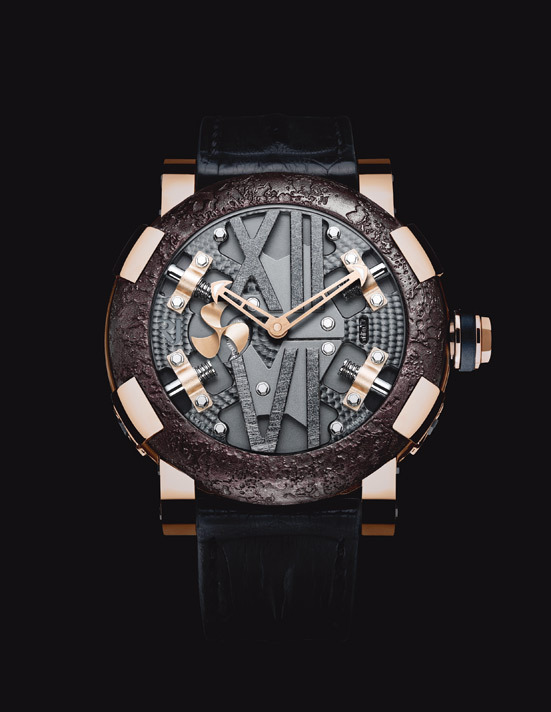 IT IS LIMITED TO 2012 PIECES TO CONMEMORATE THE APPROACHING 100th YEAR ANNIVERSARY OF THE TITANICS MAIDAN VOYAGE IN 1912, TO VIEW OTHER MODERLS FROM ROMAIN JEROME CLICK ON THE ROMAIN JEROME TAB ON TOP OF THE PAGE. EXCLUSIVE TIMEPIECES IS THE EXCLUSIVE AGENT IN TEXAS FOR ROMAIN JEROME LUXURY WATCHES.